My youngest refuses to eat scrambled eggs. Or fried eggs. Or boiled eggs. Or poached eggs. His distaste for eggs is actually just one of hundreds of his dislikes. It's so frustrating, because eggs are such an easy, nutritious breakfast food. However, he loves both oatmeal and pancakes. I have a tried and true pancake recipe that I use frequently. It's easy to change up the flour, or even hide some ground flax in it. However, even I'm getting sick of plain pancakes. A few weeks ago I came across a new pancake recipe to try, courtesy of Taste of Home. I am currently a volunteer field editor with this awesome magazine. The field editor group was challenged to test out a set group of recipes and provide our feedback. One of these recipes was Golden Oat Pancakes. It was a HUGE hit with both of my kids. It's a nice hearty change from our everyday recipe. Served with some chopped fruit and a bit of maple syrup, these are a fantastic breakfast! I've made them several times since finding the recipe, and they're consistently great. 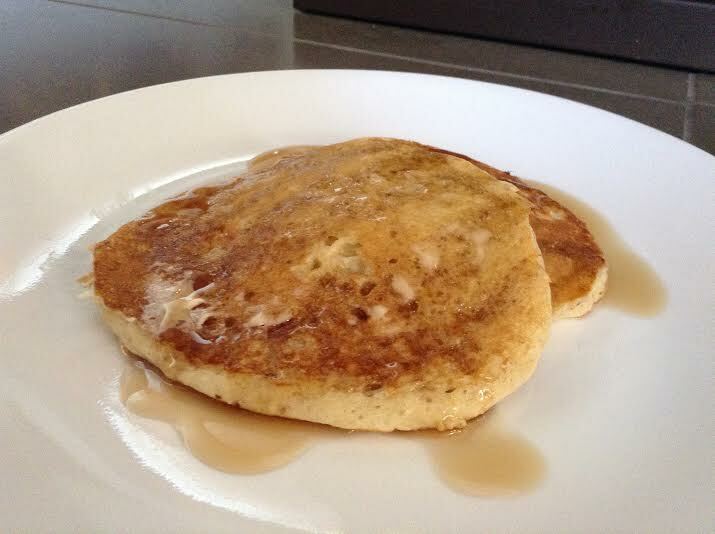 Golden Oat Pancakes - courtesy of and adapted from Taste of Home Magazine. LINK to the original recipe. *The original calls for old fashioned oats. I have used both old fashioned and quick oats. The old fashioned oats make for a bit of a delicious, chewy texture, while the quick oats make for a bit lighter. **The picky kid eats eggs in things. Just not plain. ***The original recipe calls for 3tbsp oil. I find 2 tbsp plenty. Just a preference. (1) Mix oats and milk and let stand for 5 minutes. Meanwhile, combine flour, baking powder, sugar and salt in a medium sized bowl. (2) Add eggs and oil to the oat mixture and lightly stir. (3) Add oat mixture to dry ingredients, and lightly stir just until moistened. (4) Cook on preheated griddle or frying pan until golden brown.